1. Assures a regular income. 2. Develops a high degree of loyalty. 3. Makes it simple to switch territories or quotas or to reassign salespeople. 4. Ensures that nonselling activities will be performed. 6. Provides relatively fixed sales costs. 1. Fails to give balanced sales mix because salespeople would concentrate on products with greatest customer appeal. 2. Provides little, if any, financial incentive for the salesperson. 3. Offers few reasons for putting forth extra effort. 4. Favors salespeople who are the least productive. 5. Tends to increase direct selling costs over other types of plans. 6. Creates the possibility of salary compression where new trainees may earn almost as much as experienced salespeople. 1. 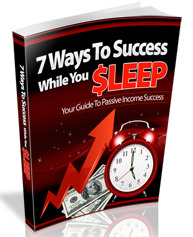 Pay relates directly to performance and results achieved. 2. System is easy to understand and compute. 3. Salespeople have the greatest possible incentive. 4. Unit sales costs are proportional to net sales. 5. Company's selling investment is reduced. 1. Emphasis is more likely to be on volume than on profits. 2. Little or no loyalty to the company is generated. 3. Wide variances in income between salespeople may occur. 4. Salespeople are encouraged to neglect nonselling duties. 5. Some salespeople may be tempted to "skim" their territories. 6. Service aspect of selling may be slighted. 7. Problems arise in cutting territories or shifting people or accounts. 8. Pay is often excessive in boom times and very low in recession periods. 9. Salespeople may sell themselves rather than the company and stress short-term rather than long-term relationships. 10. Highly paid salespeople may be reluctant to move into supervisory or managerial positions. 11. Excessive turnover of sales personnel occurs when business turns bad. 1. Offers participants the advantage of both salary and commission. 2. Provides greater range of earnings possibilities. 3. Gives salespeople greater security because of steady base income. 4. Makes possible a favorable ratio of selling expense to sales. 5. Compensates salespeople for all activities. 1. Is often complex and difficult to understand. 2. Can, where low salary and high bonus or commission exist, develop a bonus that is too high a percentage of earnings; when sales fall, salary is too low to retain salespeople. 3. Is sometimes costly to administer. 4. Unless a decreasing commission rate for increasing sales volume exists, can result in a "windfall" of new accounts and a runaway of earnings. 5. Has a tendency to offer too many objectives at one time so that really important ones can be neglected, forgotten, or overlooked. Evaluation. Evaluation is the measurement of a salesperson's contribution to corporate goals. For any evaluation, one needs standards. Establishment of standards, however, is a difficult task, particularly when salespeople are asked to perform different types of jobs. In pure selling jobs, quotas can be set for minimal performance, and salespeople achieving these quotas can be considered as doing satisfactory work. Achievement of quotas can be classified as follows: salespeople exceeding quotas between 1 to 15 percent may be designated as average; those between 16 and 30 percent as well-performing; finally, those over 30 percent can be considered extraordinary salespeople. Sales contests and awards, both financial and nonfinancial, may be instituted to give recognition to salespeople in various categories. Supervision. Despite the best efforts in selecting, training, and compensating salespeople, they may not perform as expected. Supervision is important to ensure that salespeople provide the services expected of them. 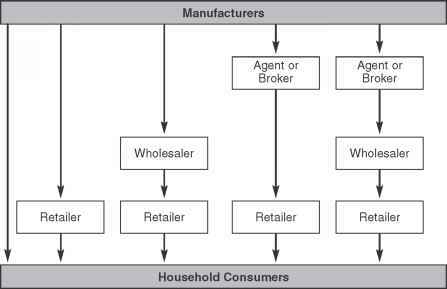 Supervision of salespeople is defined in a broader sense to include the assignment of a territory to a salesperson, control over his or her activities, and communication with the salesperson in the field. Salespeople are assigned to different geographic territories. An assignment requires solving two problems: (a) forming territories so that they are as much by analyzing customers' locations and the potential business they represent. Customers can be categorized as having high, average, or low potential. Further, probabilities in terms of sales can be assigned to indicate how much potential is realizable. Thus, a territory with a large number of high-potential customers with a high probability of buying may be smaller in size (geographically) than a territory with a large number of low-potential customers with a low probability of buying. Matching salespeople to territories should not be difficult once the territories have been laid out. Regional preferences and the individual affiliations of salespeople require that employees be placed where they will be happiest. It may be difficult to attract salespeople to some territories, whereas other places may be in great demand. Living in big metropolitan areas is expensive and not always comfortable. Similarly, people may avoid places with poor weather. It may become necessary to provide extra compensation to salespeople assigned to unpopular places. Although salespeople are their own bosses in the field, the manager must keep informed of their activities. To achieve an adequate level of control, a system must be created for maintaining communication with employees in the field, for guiding their work, and for employing remedial methods if performance slackens. Firms use different types of control devices. Some companies require salespeople to fill in a call form that gives all particulars about each visit to each customer. Some require salespeople to submit weekly reports on work performed during the previous week. Salespeople may be asked to complete several forms about sales generated, special problems they face, market information collected, and so on. Using a good reporting system to control the sales force should have a positive influence on performance. In recent years, more and more companies have begun to use computer-assisted techniques to maintain control of the activities of their sales forces. Management communicates with salespeople through periodic mailings, regional and national conferences, and telephone calls. Two areas of communication in which management needs to be extra careful to maintain the morale of good salespeople are (a) in representing the problems of the field force to people at headquarters and (b) in giving patient consideration to the salesperson's complaints. A sales manager serves as the link between the people in the field and the company and must try to bring their problems and difficulties to the attention of top management. Top management, not being fully aware of operations in the field, may fail to appreciate problems. It is, therefore, the duty of the sales manager to keep top management fully posted about field activities and to secure for salespeople its favor. For example, a salesperson in a mountainous area may not be able to maintain his or her work tempo during the winter because of weather conditions. Management must consider this factor in reviewing the salesperson's work. It is the manager's duty to stand by and help with occupational or personal problems bothering salespeople. Close rapport with salespeople and patient listening can be very helpful in recognizing and solving sales force problems. More often than not, a salesperson's problem is something that the company can take care of with a little effort and expenditure if it is only willing to accept such responsibility. The primary thing, however, is to know the salesperson's mind. This is where the role of the supervisor comes in. It is said that the sales manager should be as much a therapist in solving the problems of his or her salespeople as the latter should be in handling customers' problems.